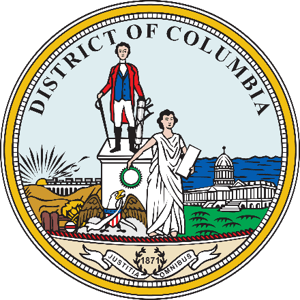 Job Training for Washington, D.C. The federal government procures the largest amount of technological equipment and service in the world, through direct purchases, research and development funding, and grant and loan programs. Washington D.C. attracts growth industries, such as paper products, telecommunications, information and computer firms, and many service industries, especially tourism and hospitality firms. More than 500 publishing and printing companies thrive in the area to support federal government document requirements. 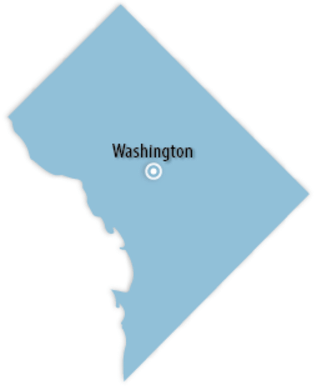 OJT.com connects you with training providers that support all the major Washington D.C. industries. 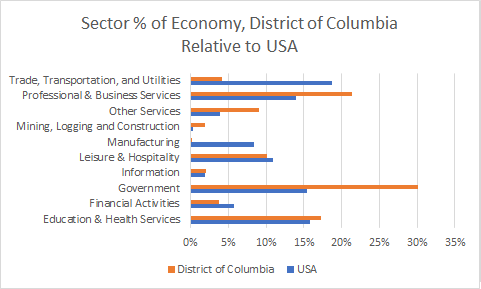 The chart below shows the percentage of the economy, in terms of jobs, that various industry supersectors contribute to the Washington D.C. economy, relative to the percentage that those sectors contribute to the overall U.S. economy. 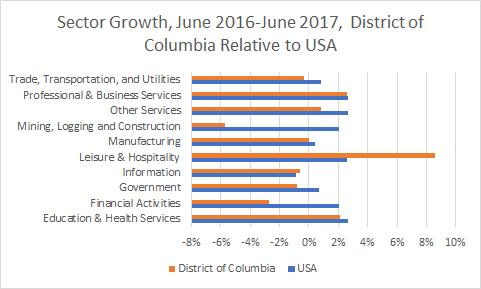 Washington D.C. OJT supersectors with a proportionate part of their workforce that is 2% or more than the country at large are the Government supersector, the Professional & Business Services supersector, and the Other Services supersector. 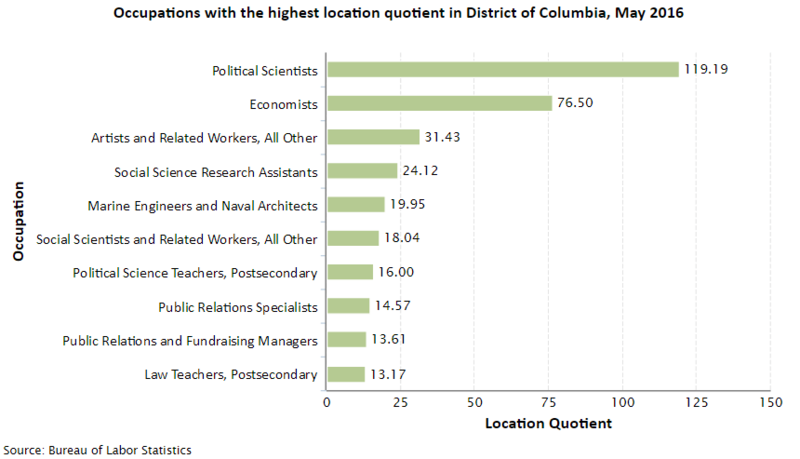 The following shows Washington D.C. occupations with the largest proportion of employees, relative to the rest of the nation. For example, a location quotient of “5” indicates that the percentage of employees in the occupation is five times greater than for the entire nation. At OJT.com, we connect you with the best on-the-job training programs and on-the-job training providers in Washington D.C. Whether you are looking for job training manuals, job training videos, on the job training programs, or any other sort of job training programs in Washington D.C., OJT.com can help you.